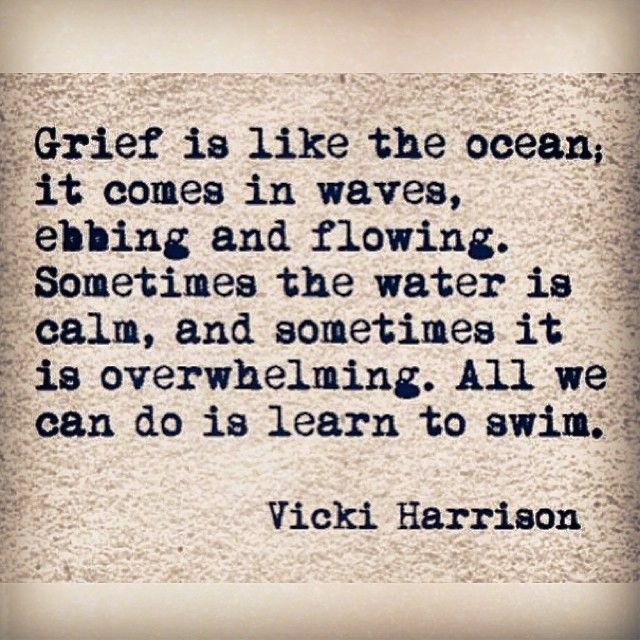 Grief does come in waves. Often they are powerful and overwhelming and you can see them coming. Sometimes they come out of nowhere and surprise you or knock you to your knees where you stand. There is no running away or ignoring or wishing them away. They come. Over and over and over again until you feel like you don’t have the energy to take another breath. It feels a lot like drowning on your tears and your emotion. As always, if you’d like to chat about your grief journey, call or email me. This entry was posted in Bereavement counseling, Coping with Grief, Grief, Quotes and tagged bereavement, bereavement counseling, bereavement quotes, coping with grief, grief, grief and loss, grieving, waves of grief. Bookmark the permalink. 2 Responses to Learning to swim….and surf…. I must be a talented surfer and didn’t even know it! 😉 Great post! Heck of a way to become an expert, eh?…and thanks!